This wonderful Festival began in 2006 during the worst drought in Lockhart’s recorded history, as a celebration to the resilience of those who live and work on the land. It was inspired by those who saw the inner strength, courage and determination of a community battling an invisible foe. From the very first, the Spirit of the Land has proved an outstanding success – reviving community spirit, inspiring enthusiasm and putting a small town well and truly on the Festival map. Home to the famous National Farm Art Sculpture Award, Lockhart’s Spirit of the Land Festival promises a whole weekend of family entertainment. Held in conjunction with the Lockhart Picnic Races (yes, more fun! ), the Spirit of the Land Festival is growing every year. From interstate, international and those from just down the road, the 2016 Festival drew in more than 6,000 people. 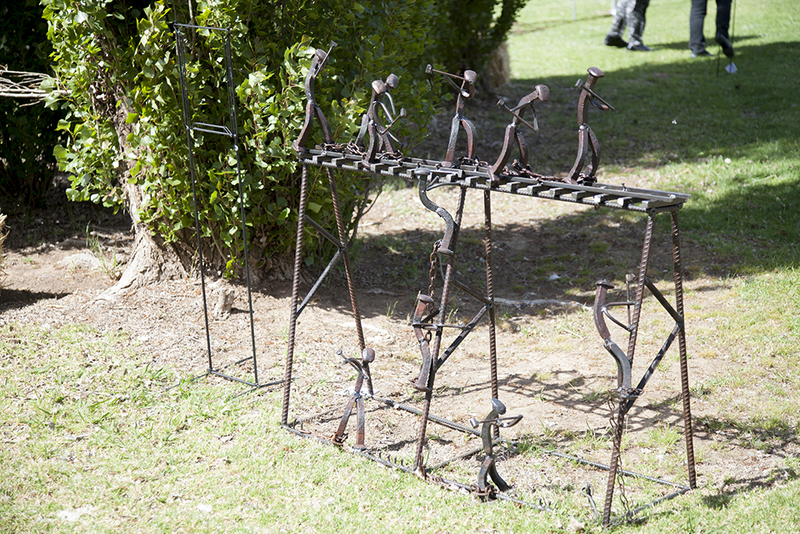 While the Farm Art Sculptures are incredible in themselves, the Festival is so much more, with fine art, Indigenous and photography exhibitions, open gardens, boutique market stalls, vintage cars, an incredible wool art gallery plus food, wine and some of the friendliest locals you’re ever likely to encounter. And to make your experience as pleasant as possible, there is live music all day, and a fantastic fireworks display on Saturday evening.